Rest assured fellow readers, for me, blogging will always come first. Meaning photographs are snapped quickly (and without staging) to ensure food is consumed at its optimal temperature. With that said, over the last year, I’ve started dabbling in the Instagram realm (@gastroworldblog), as a means of showcasing the photos I’m most proud of or others that will never be included in a post. What I love most about this second social media platform, is the sense of community and feedback you receive. People are quick to give kudos and there’s so much interaction in the comments field! Even though it doesn’t showcase Gastro World’s writing very well, it has allowed me to connect with a new group of foodies. @FeedMyPhone hosted an Insta Meet at Infuse Café’s new location inside the Gerrard Square Mall. The perfect opportunity to meet the people behind the photos that entice me; a collection of individuals who love food photography and their friends (often relegating to holding objects and pouring with a slow grace). To watch the true photographers at work – the equipment (a far cry from my iPhone) and the care they take to ensure things are placed optimally – was eye opening. Truth be told, my attention was quickly stolen by the high tech gadget used to vacuum extract tea and coffee using reverse atmosphere infusion (are any engineers reading this?). These machines end up costing $20K+ after being installed and requires a special technician flown from San Francisco to get the job done. 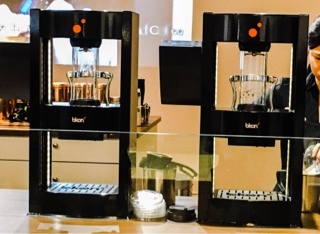 Infuse Café is the only establishment in the country that has the right to use the machine for the next couple of years. So what does a machine that costs as much as an entry level car get you? For tea, a richer tasting cup without the bitterness as the machine doesn’t use scalding water, which unfortunately can sometimes scorch the leaves. For coffee, a cup of java that has 15% more caffeine! 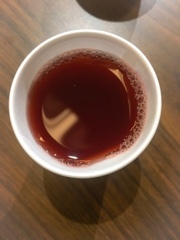 The fruit flavours in the blueberry hibiscus iced tea ($3.99/16oz and $4.49/20oz) was prevalent so that the drink could almost be juice. Meanwhile, the classic milk tea (same price as hibiscus) did offer a robust tea flavour without the bitter end note. 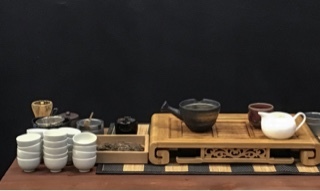 Personally, I would have loved to try iron goddess of mercy (or tae guan yum), normally ordered at at dim sum, in order contrast the tea naturally. After all, what should high quality tea made with a specialized machine really taste like? For those who want something luxurious, Infuse offers milk latte versions of their drinks and most can be ordered in a hot or cold form (with no additional charge for making it cold)! Their teas range from $3.49 for a 16oz yerba mate blend to $8.99 for a 20oz cup of their “prestige” line such as the Silver Needle. 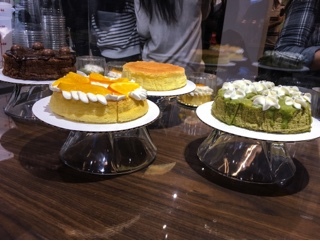 A variety of cakes from Cecilia’s Cheesecakes, which can normally be purchased at Infuse, was also tasted at the event. Their original cheese cake ($10) was just as satisfying as Uncle Tetsu’s and the matcha, chocolate or orange flavoured versions ($15) tasty as well. 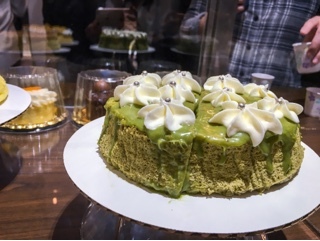 But, it was the matcha ganache cheesecake ($18) that was my favourite, combining the fluffy lightness of a Japanese cheesecake with a sweet icing to really make it dessert. It was so good I purchased a personal-sized version ($4) for my husband.